Since upgrading to Yosemite (did a wipe of my HD before installing, so no settings was there from Mavericks) I can only connect my Magic Mouse normally once per boot. Normally you would be able to connect the mouse, sleep the computer, connect the mouse again, however I have to reboot my MacBook Pro after the sleep, if I want the Magic Mouse to work again. I can see the device in both the Bluetooth preference pane and the Bluetooth menubar icon dropdown, but clicking connect in either of them does nothing. Sometimes deleting the pairing and re-pairing with the mouse works, however most of the time it doesn't. I have tried to reset my nvram and deleting /Library/Preferences/com.apple.Bluetooth.plist, without any success. When using Mavericks and below, I have never had any issue with my Magic Mouse and the problem still exist when using a different Magic Mouse on Yosemite. Any suggestion on how to fix this, without downgrading to Mavericks? For many it is because of a WiFi/Bluetooth conflict. Note: Bluetooth PAN is for connecting to your iPhone for things like "Instant Hotspot" and can easily be re-added using the [+] on the same screen if you need it later. This will sound insane, and I admit that, but it worked for me for some reason. If I used the USB extension cord with my usb keyboard, the pair option magically reappeared in bluetooth. I can only assume it has to do with grounding, but it is worth 2 secs to try and find out if it might work for you. I had the same problem and I think I spotted a possible cause of the problem. My mouse was called "My Name's mouse" with the apostrophe, maybe that was causing the errors. I have changed the name to avoid using spaces and special characters, now is called just "mymouse" and I don't seem to have the problem anymore. Then simply close your lid or make the Mac go to sleep, upon wake up, the Bluetooth icon will appear weird, and will be set as "not available", but a few seconds later your Magic Mouse will be back. I couldn't get my magic mouse to reconnect after I changed the batteries. All I had to do was turn off wifi and it immediately recognized the bluetooth mouse. No idea why this works, but it did. I am using a 15"retina MB pro with Yosemite. Turning off and then back on Bluetooth worked for me. 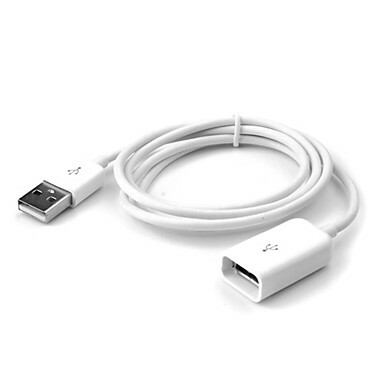 When attempting to connect a Magic Mouse 2 (The version with the Lightning connector) I had the Lightning-to-USB cable connected to a Thunderbolt display. 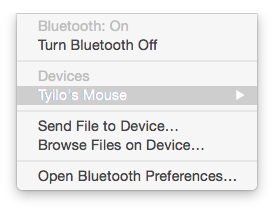 The mouse would not show up in the Bluetooth pane or the Mouse pane of System Preferences. On a whim, I tried plugging the USB end directly to the MacBook. It paired the mouse immediately. Trying to connect through the Thunderbolt display seemed to prevent the initial pairing. Other hubs might prevent the same thing. tl/dr: Plug the mouse DIRECTLY into the laptop. Turning off wifi fixed the problem. Mouse will be discovered automatically. Not the answer you're looking for? 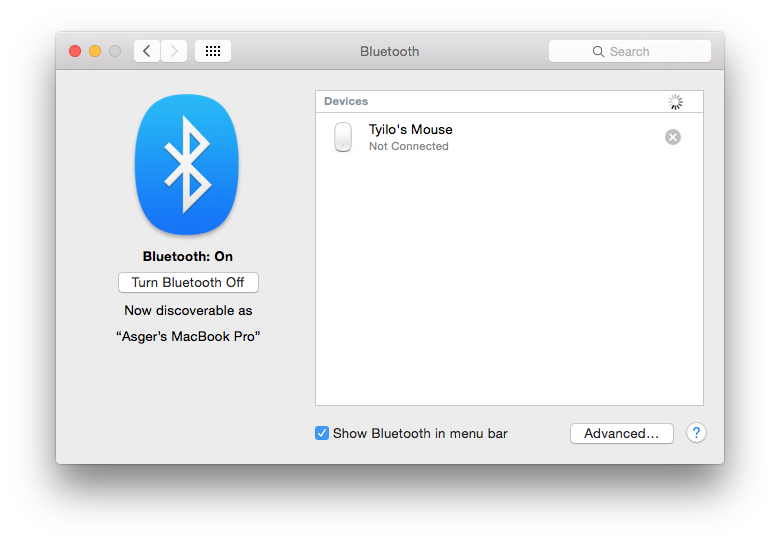 Browse other questions tagged yosemite bluetooth mouse . How can I use different magic mouses at home and at work? Why would adding a USB extension cord to my keyboard affect my Bluetooth connection to my magic mouse?